Last week, Facebook came clean to a rather significant error - storing “hundreds of millions” of passwords in plaintext, unprotected by any encryption. Users of Facebook, Facebook Lite and Instagram were affected and fortunately, there was no evidence that the passwords had been internally abused or improperly accessed. Facebook will notify those affected and security experts have recommended that everyone should change their Facebook password to something 'complex and unique', leading to panic from various dads (sorry dad) scrambling for inspiration beyond their own date of birth. 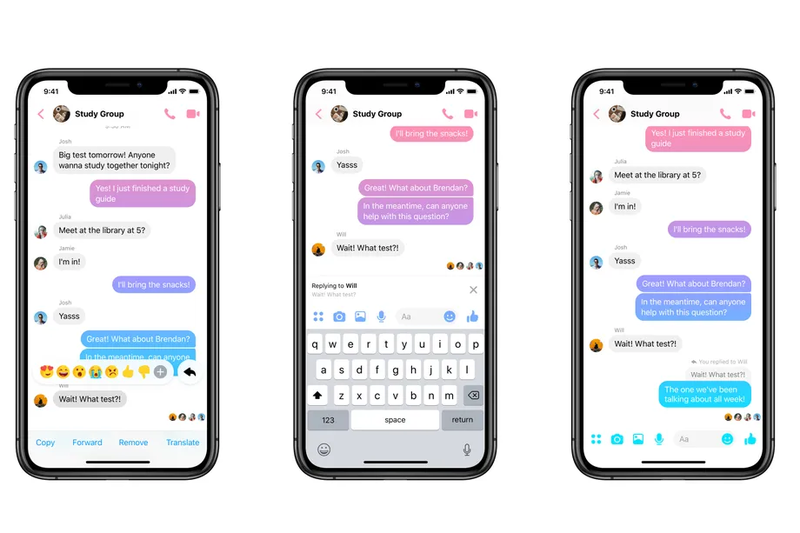 Facebook Messenger has taken inspiration from WhatsApp with its latest update: the ability to quote and reply to specific messages in a conversation. Probably very useful for those of you out there with many friends; less so for me and my one active Messenger chat with Grandma. Instagram has long been conspiring to take all our money and last week announced that it's bringing a checkout feature to its mobile apps. 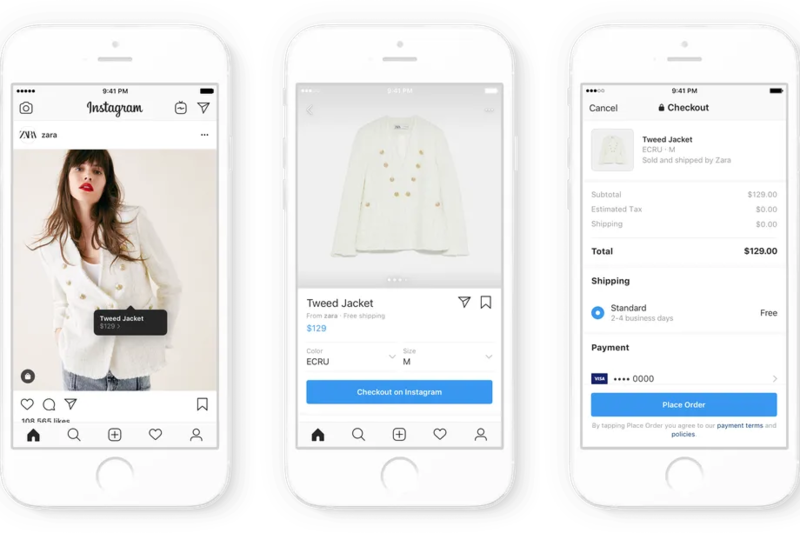 Checkout allows users to store payment information with Instagram to make purchases more quickly in the app, charging retailers a selling fee. Brands like Adidas, Dior and H&M have already signed up - you'll be able to spot items eligible for in-app checkout by the subtle blue “Checkout on Instagram” button. WhatsApp Business has been available on Android since January last year, and it's reportedly now rolling out on iOS in countries including Brazil and France. The app allows businesses to communicate directly to customers, along with other exciting features such as away messages, greeting messages and the ability to list info such as opening times and addresses. The best bit (yes, even better than greeting messages) - it's free to download and use. Pinterest - or PINS as it will soon be called on the New York Stock Exchange - has filed its IPO paperwork. Digiday has broken down the highlights of the 200-page document, which include how it positions itself (discovery platform, not a social network), its audience make up and its offering to advertisers. Pinterest also has the rare (in tech start-up terms) boast that it's not haemorrhaging cash as it prepares for its IPO. It's not profitable (that would be madness!) but it doesn't have the enormous scale of losses that we've seen from the likes of Uber and Lyft. Pinterest lost $63 million in 2018 - an improvement on $138 million a year earlier. Hopefully, this trend will continue for the social network discovery platform. LinkedIn has ramped up its targeting capabilities with three new options. Firstly, lookalike audiences, which allow advertisers to target new audiences who are similar to ideal customers. Secondly, audience templates, which take some of the legwork away from advertisers by providing over 20 predefined B2B audiences options. Last but not least, the network is adding search data from Microsoft sibling company Bing (a search engine) to its interest targeting offering within LinkedIn’s Campaign Manager. This means that that advertisers can use a combination of their audiences’ professional interests on LinkedIn and their activity on Bing to reach them. LinkedIn is making it easier to schedule face-to-face meetings from within the app. The platform said its users have shared that they "often coordinate meetings with the people (they) chat with in LinkedIn Messenger" and that switching between apps to book in meetings is a pain. 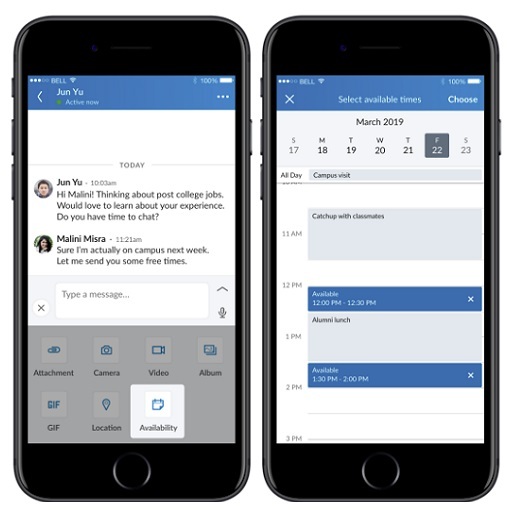 Linkedin has streamlined this process by adding a new 'Availability' option within the message composer, which will access the user's calendar and allow them to select a time. Soon, people will also be able to check and see whether their proposed time works, and send a confirmation. Big news last week when many people across the world discovered that MySpace does in fact, still exist. And not only that, but it's managed to wipe all the content that was uploaded to the platform before 2016. The mass deletion was apparently down to a faulty server migration and the loss includes more than 50m tracks from 14 million music artists. Maybe it's time to call it a day guys. 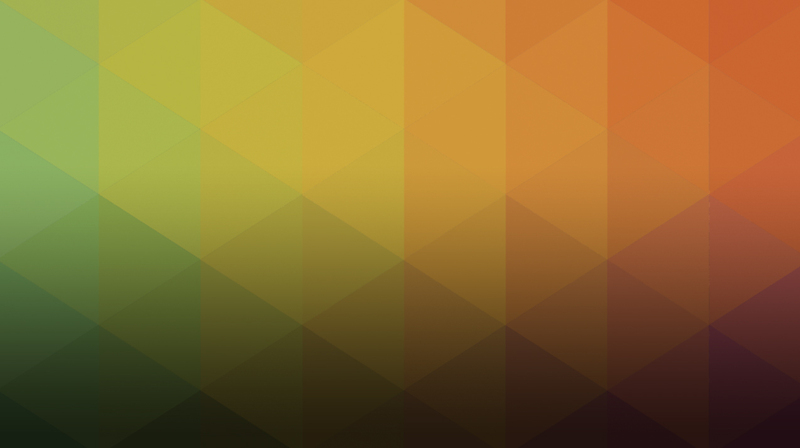 WhatsApp tests new ‘search image’ feature, Tumblr sees traffic drop by nearly 100M views - and more. The latest social media news in our Monday Mashup.